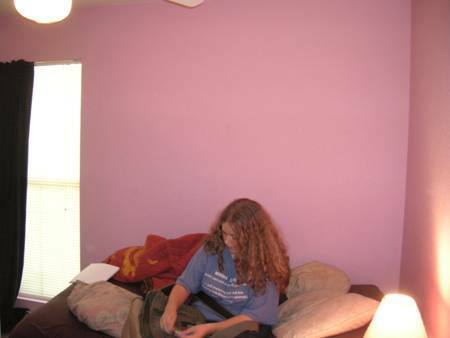 I love these photos of a redecorated teen room sent in by Krislyn and her mom, Michelle. The colors are great and the stencil treatment is really special. Krislyn was getting tired of the pink so they chose a bed comforter with entirely different colors as a jumping off point for the new decorating scheme. Mom Michelle told me she couldn't find the right stencil for the sun graphic, so she created her own. 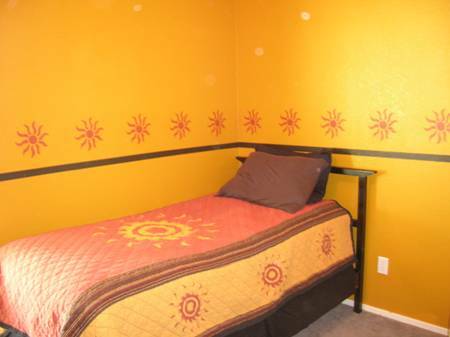 Notice how it coordinates with the print on the comforter. Here's another view of the room. 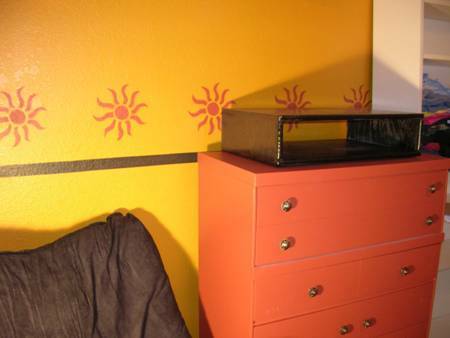 And check out the dresser. Now look at the dresser. Also, they took special care to ensure the black line was straight and even on the rough-textured wall. Very nice transformation. 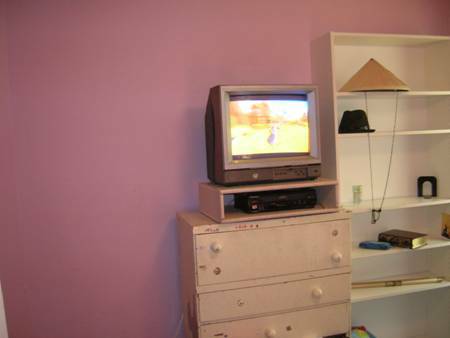 This is an excellent example of a redecorated teen room done with style, color, and (according to mom) lots of work. Good job, ladies!